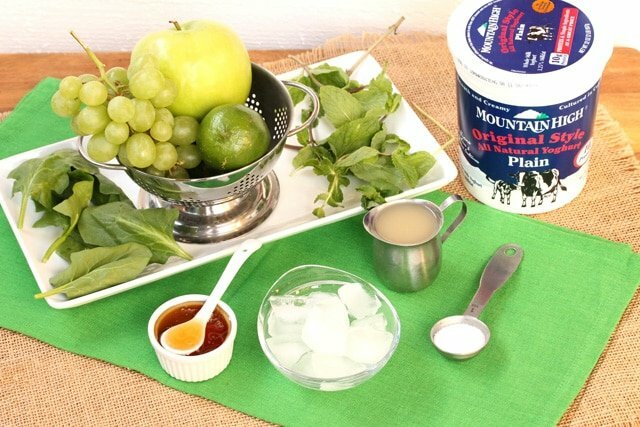 This refreshing ice cold smoothie tastes like limeade and is perfect for a hot summer day. 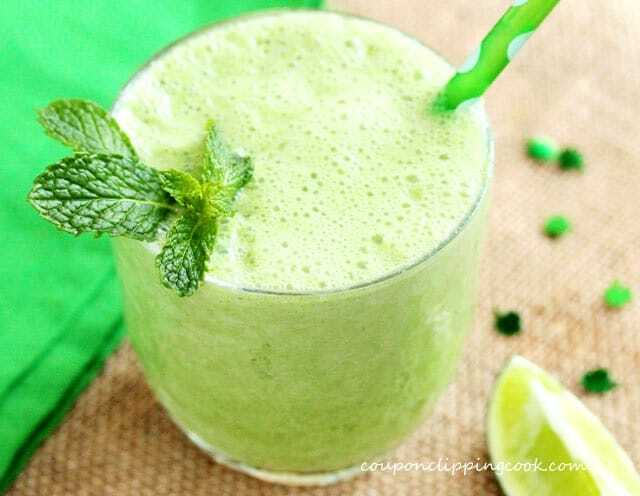 It doesn’t have to be St. Patrick’s Day to go green, a green smoothie that is. 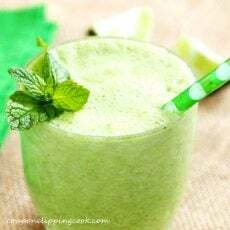 This smoothie is slightly lighter in color and texture than some green smoothies. It tastes wonderfully tart similar to limeade. 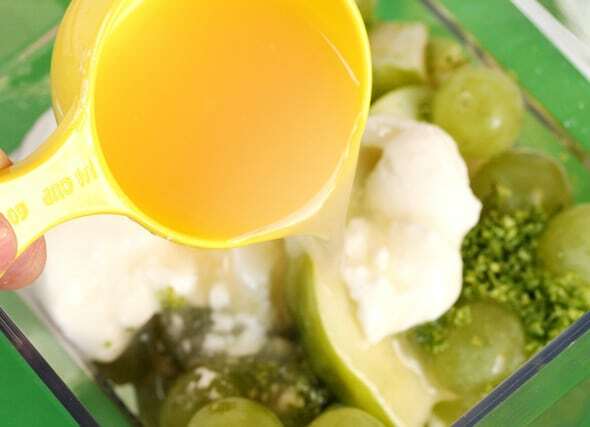 The zest of a lime is the star of the show in this tasty drink. 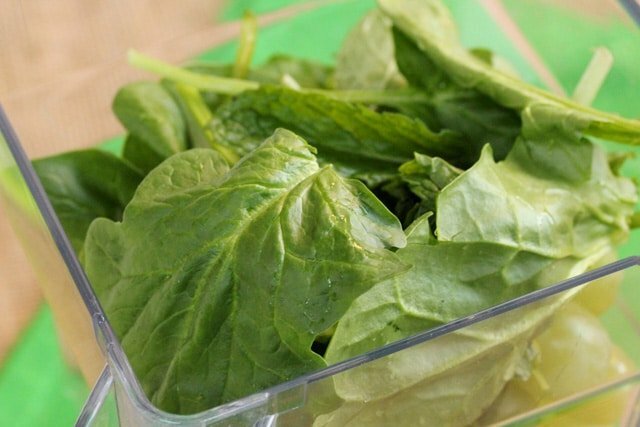 And the fresh mint is the co-star. And it even has spinach in it. No worries though, you can’t even taste it but it adds a nice light green color to the drink. 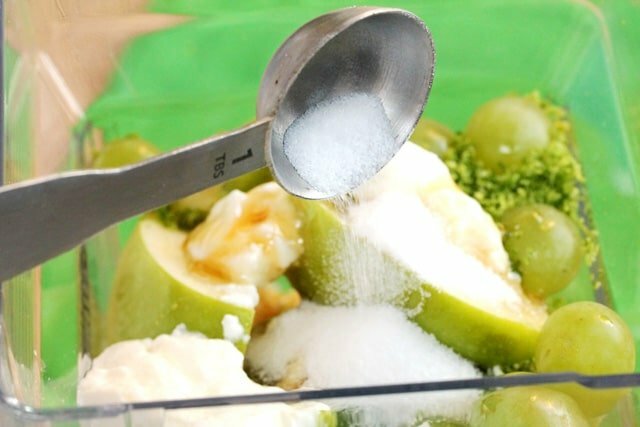 I have to admit that I slipped in a little sugar in this recipe. 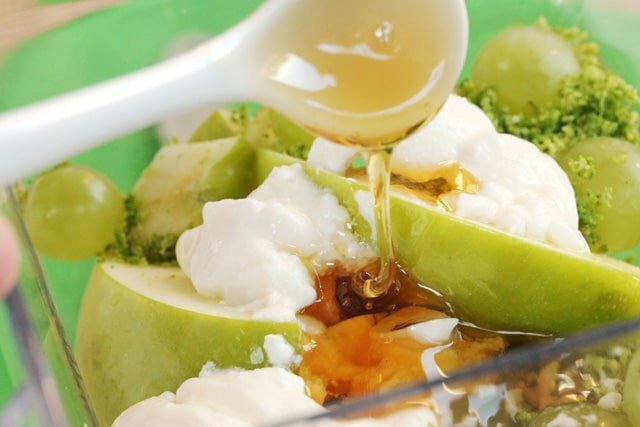 It just seemed like the right thing to do since lime was involved and it adds a bit of sweet that emphasizes the tart flavor of the green apple and lime. But feel free to leave out the sugar if you like. 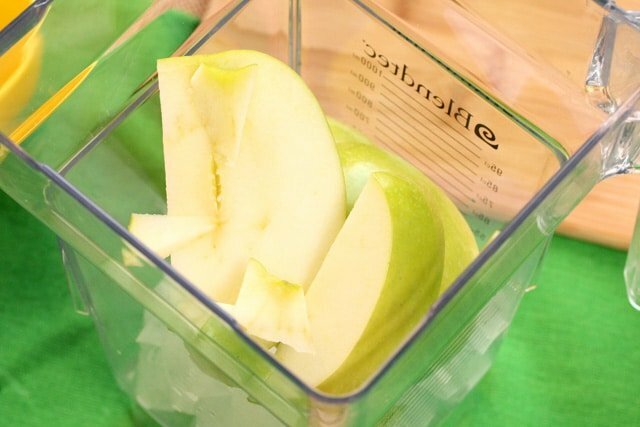 Add the ice cubes to the blender. 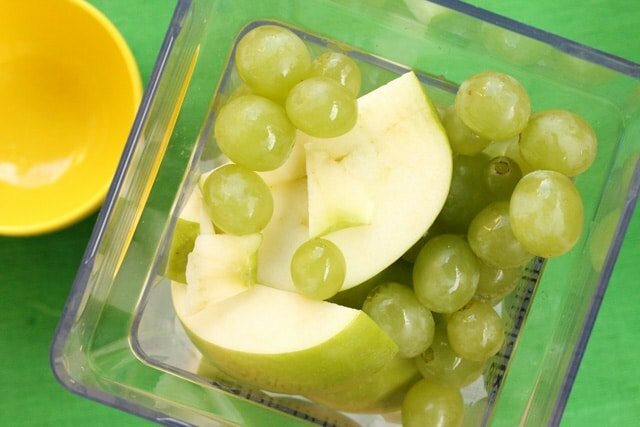 Cut the apple from the core in large pieces (discard the core). 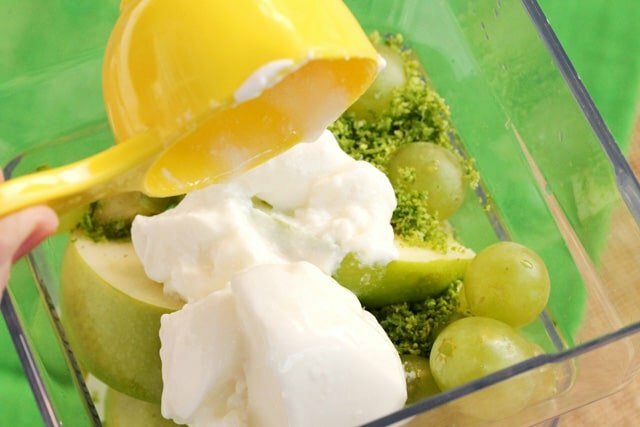 Add the pieces of apple to the blender. 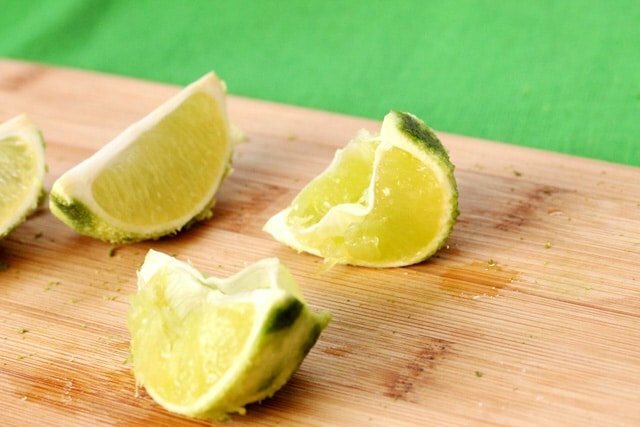 …and the juice from the lime. 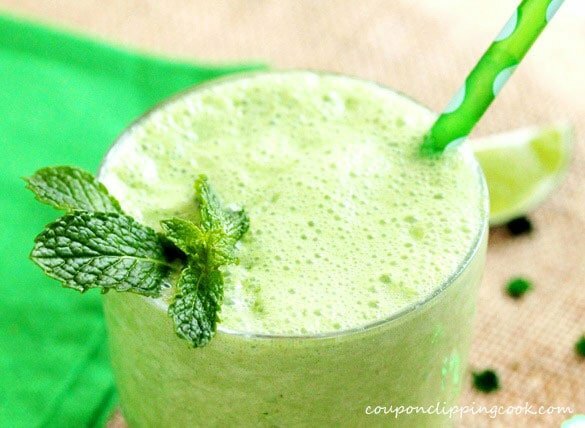 spinach, and mint to the blender. Blend on the “smoothie” setting. enjoy each and every sip. 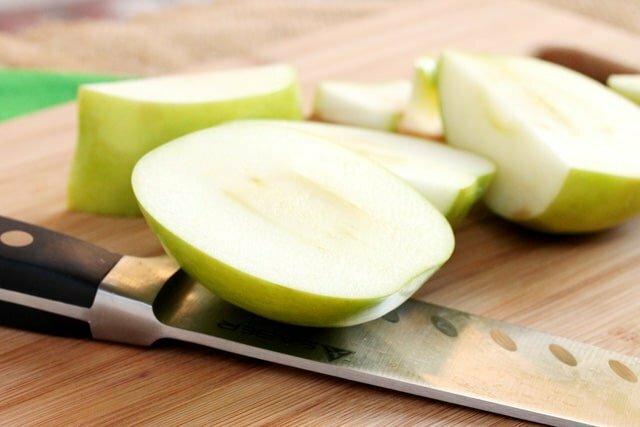 1 Granny Smith apple Cut the apple from the core in large pieces (discard the core). 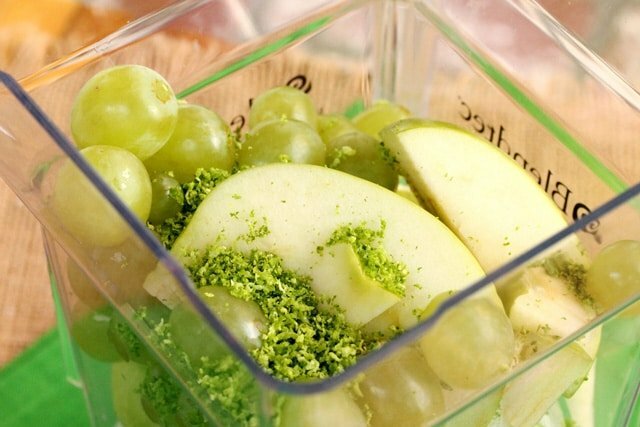 To the blender add the ice cubes, apple pieces, grapes, lime zest, lime juice, yogurt, grapefruit juice, honey, sugar and spinach. 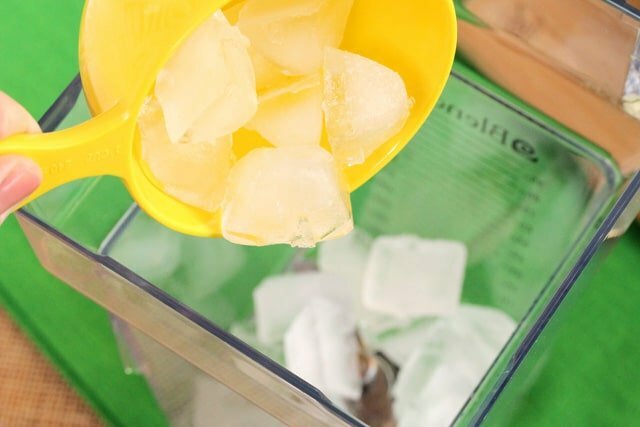 Serve immediately while ice cold. 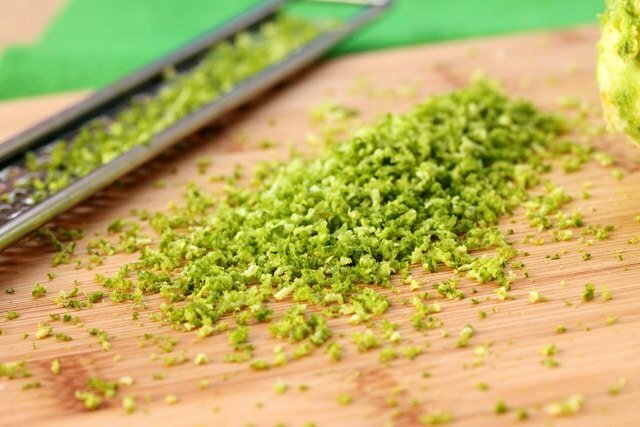 Garnish each serving with a small sprig of mint. This looks yummy…got to give it a try. Love this blog!!!!!! Hi There, so glad you like it. And thank you very much for visiting CCC! Have a wonderful rest of the week! Hi Eli, thank you for asking. Yes, thank you for translating the recipes. 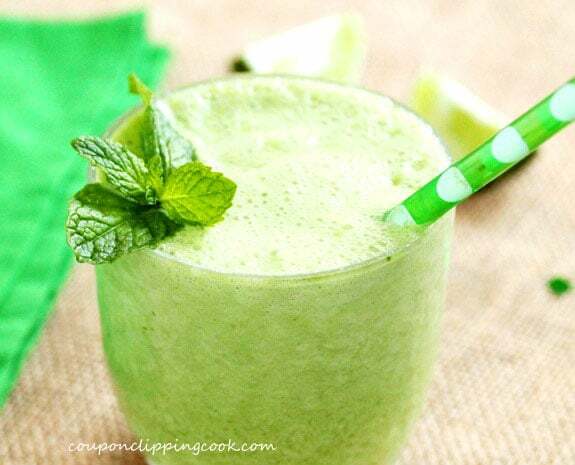 I love the combination of mint, lime, and greens! Okay you had me at smoothie. This looks so wicked good. Perfect for St Patty’s Day. Hi Arezoo, thank you for letting me know. I just tried the translator and it worked great. It s very nice & i think it s tasty. I have a website about food. If you coming to my Web , Im happy. Im from Iran and i dont speek English very well. Hi Arezoo, thank you for stopping by. 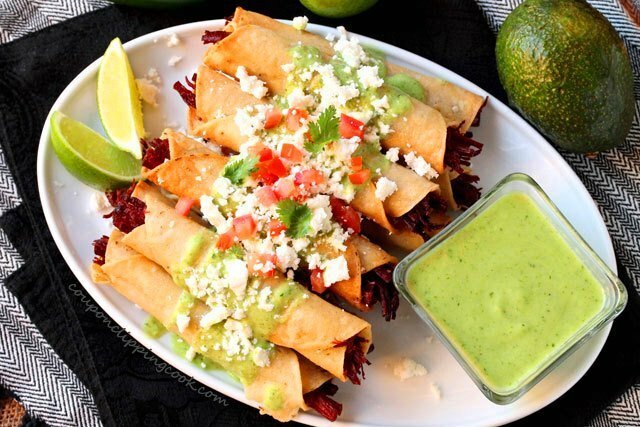 I just visited your site and your pictures look delicious. You have a beautiful website!